While no one can predict the exact peak, here are five reasons you’re better off on the sidelines than in the market. So writes Arsene Lupin in edited excerpts from his original article* posted on Seeking Alpha under the title 5 Reasons To Head To The Sidelines On The U.S. Market. 2. Technician Wisdom. Birinyi made his name on the Street in the 80s by using mutual fund money flows to predict stocks and markets, and was a regular on the pioneering program, Wall Street Week by Louis Rukeyser. He continues to share his wisdom about both institutional and individual investor sentiment on the Tickersense, the Birinyi associates blog. The current investor sentiment (see below) is as strong a signal as the market is going to give you that it is overbought. Can it get more overbought? Possibly. Are you placing a low odds bet if you buy now? Indubitably. 3. ‘Hedgie’ wisdom. Tom DeMark is another ilk of ‘technician for hire’ and revered by the hedge fund community. He is an advisor to the (somewhat maligned but incredibly smart) SAC hedge fund run by Steven Cohen. DeMark correctly predicted the timing and valuation of the S&P bottom in 2011. DeMark calls for a S&P descent to the 1350 range after a short-term market top. 4. Small Investor Sentiment. 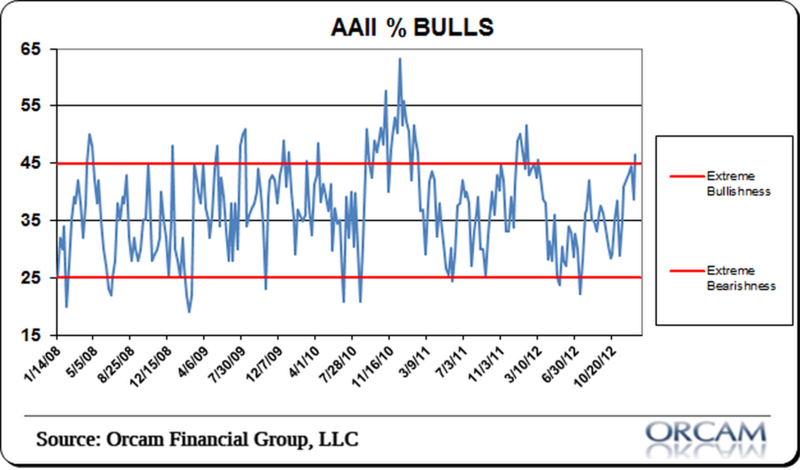 The American Association of Individual Investors (AAAI) is another highly regarded investor analytics institution. There bulls vs bears tracker (see below) confirms Birinyi’s analytics, and flashes a strong warning signal for those contemplating a market entry in the near future. 5. Earnings Cliff. Doug Kass is a hedge fund manager known for calling the March 2009 bottom right around Dow 6900. Concerned as he is about Washington, the cliff he is highlighting is the earnings cliff, i.e. a shortfall in S&P earnings due to global uncertainty, inflationary pressures and consumer sentiment. [Given the above,] if you are a conservative investor, you might want to stay on the sidelines. If you are brave, you might venture on the short side. As always, take this as input and conduct your own research. 6. 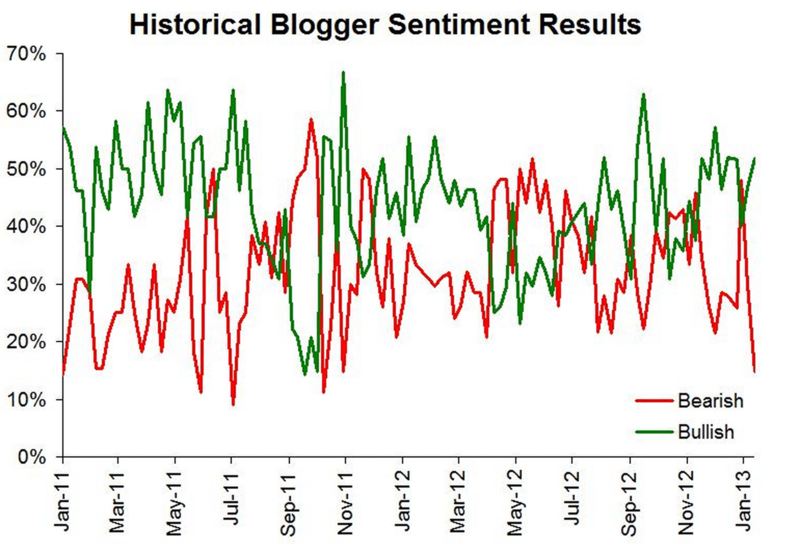 Don’t Ignore This Fact: “Greedometer Gauge” Signals S&P 500 Drop to the 500s by July-August, 2013! 9. Will a Black Swan Event Cause the S&P 500 to Drop by 40%?